I'll be going to see "La La Land" on Sunday in a REAL Theater. I hope you have a lovely time. Me - personally, I've just came back from the second half of my root canal treatment. I'd rather repeat that than go and see LaLaLand. Jethro Tull have been a fixture of the British music scene for over forty years. listening on their own terms as well as for propelling the listener back to the original material. and warmth of their playing. ‘I was introduced to them by a mutual friend,’ says Anderson. and the tracks have the immediacy and edge of a live performance. The locations were chosen for their spiritually uplifting atmosphere (I don’t enjoy recording in studios). But these were challenging circumstances for the musicians. The recordings had to go to plan. Places like that involve a lot of extra noise, from traffic and the wind. a few heavy hitters including Living in the Past and Bungle in the Jungle (which was a big hit in the US). had already been performed together inthat form before. and a Bach prelude. The original Tull piece was played regularly on their tour with the Eagles. Ian Anderson’s flamboyant flute playing, so dirty it sounds like the flute was invented for rock ‘n’ roll. additional performances of the string quartets seem unlikely now given existing commitments. his touring commitments. The common thread is the music rather than the musicians. old troopers together (many of them are no longer musicians) and to find time to rehearse material. He continues his present tour shortly with a concert in Kiev. So unstickered ones will become rarities and worth money ? and I very much look forward to you all hearing it very soon! I've got the autographed Lp on order. Wonder if it has the same issue with track listing? That would make it even more valuable which makes it PRICELESS !!! Ian Anderson – Flute, acoustic guitar, mandolin and vocals. Winners of many international competitions and regularly appearing at Classical Music Festivals throughout the world. Highly celebrated for their interpretation of contemporary repertoire, the Carducci Quartet is regularly invited to perform new works and recitals. Ian and John O’Hara – keyboard player with Tull and Ian Anderson – had discussed for some time the prospect of a dedicated string quartet album specially conceived and orchestrated to celebrate some of the best-known repertoire of Jethro Tull in a new and very different setting. They had first heard of the Carducci Quartet through violinist Matthew’s brother Chris, also a musician. After seeing the quartet in concert in London at LSO St Luke’s, Ian invited them to take part in the recording of this project. Ian and John then pored over the entire Tull catalogue and decided on this selection of songs which includes two O’Hara-arranged Tull pieces already performed with quartets in various concerts over the years. With judicious additions of flute, acoustic guitar and mandolin along with a few vocal sections, this album offers Tull fans the opportunity to enjoy familiar melodies and songs within the styling and traditions of Classical Music. Two violins, viola and cello make up that perfect combination of musical instruments known as a string quartet. Composers such as Beethoven, Bartók and Britten have written for it, and it felt like an exciting prospect to hear Anderson’s music in this way. Since the 1980s I have been composing and producing music for television and the stage, so this project was an opportunity to combine my experiences with Ian’s music. Over the years I have scored the works of Jethro Tull for larger orchestral forces, but this was a chance to distil the material and hear it self-contained within the quartet format. It was an honour to work with such an accomplished ensemble as the Carducci Quartet: their joy and enthusiasm can be heard throughout. This has been a project of love. I created each new arrangement over a period of several months, always trying to offer something new and exciting to the listeners, some of whom will know this material very well. Expect a few surprises! John O’Hara and I have worked on various orchestrations and performed many orchestral concerts in several countries over the last fifteen years. A couple of years ago, I came up with the idea of recording a dedicated SQ album in a contemporary but “Classical” setting together with my own brief appearances. Having discussed this with John at various points during tours, we started in earnest by jointly choosing some potential tracks to work on. In order to differentiate between the titles of the original tracks and these reworked arrangements, I decided to give them rather cryptic names for these versions. The publishing and record royalty payments get very complicated when the same song title applies to different albums, performers and writers. Better, therefore, to avoid confusion with these pseudonyms. Although you are probably confused now, too. Sorry about that. It has really been a lot of fun to work on this project. The Carducci Quartet provided a spirited and committed performance, without which all would have been futile. And, I only had to pay for lunch once as they brought sandwiches. Bless. Many thanks to Susan Macleod at Worcester Cathedral for making it happen there and to Crispin Truman and his crew at the Churches Conservation Trust for the access to St Kenelm’s at Sapperton. Finally, many thanks and appreciation for JO’s hard work and dedication to detail in bringing this project to fruition. Why the churches? There is something of a spiritual and uplifting quality in the ambience of the Christian church. Can’t quite put my finger on it (yet) but the musical liturgy of the church does something for me. Strangely, I feel quite at home in our parish churches and grand cathedrals these days. ‘Jethro Tull: The String Quartets’ is in fact Ian Anderson plus The Carducci Quartet on an album orchestrated by Anderson’s long time collaborator John O’Hara. The result is a refreshing interpretation of some of Tull’s back catalogue, leaving the fans to argue about what was left out. This is the kind of album that asks some awkward questions about whether a rock audience has now matured to the point where it can appreciate chamber music renditions of a band whose musical career spans folk, prog and heavy rock. Also how many versions of these songs do fans still want to hear? Whatever the answer, there’s plenty to enjoy here, as O’Hara sets about Anderson’s material with gusto. The quartet’s subtle dynamics pick out the musical highlights, before they explore the outer fringes of the material. In the case of ‘We Used To Bach’ (aka ‘We Used To Know’) Anderson’s song is cleverly segued with the original influence for the song, ‘Bach Prelude C Major’. Tull’s music has already been through the classical blender before of course, but this string quartet album brings a lively, jaunty presence to bear on a thoughtfully compiled set of songs, albeit it includes two Christmas songs. The key to the project is the strength of the material. String quartets were after all considered to be the ultimate test for a composer’s art and for the most part the songs benefit from the ‘unplugged’ approach. ‘Bungle’ (aka ‘Bungle In The Jungle’) for example, is given a more accessible lighter feel, in sharp contrast to rather more lumbering original, and ‘Ring Out Those Bells’ (aka ‘Ring Out Solstice Bells’) has a joyous feel as Ian adds one of 6 passable vocals on the album. Recorded at Worcester Cathedral and St. Kenelms’s Church in Sapperton, Gloucestershire, the album gets off to a brave start with the Tull classic, ‘Living In The Past’. Retitled ‘In The Past’, the 12 different titles reflect the different musical approaches and different players from the original band. ‘In The Past’ opens with a gently thumbed strings and Anderson’s flute which deftly meanders in between the strings as the quartet works its way back to the theme. ‘Sossity Waiting’ (‘Sossity, You’re A Woman/Reasons For Waiting’) doesn’t quite work as well, if only because it’s a segued piece on which the original acoustic number is well suited to the string arrangement. The latter was was already orchestrated and even though it’s beautifully voiced here, the quartet arrangement doesn’t really add anything to the original, though it does serve to remind us you of the potency of Anderson’s melodies. The folky material seems better fitted to purpose, most notably on the uplifting feel of ‘Songs And Horses’ (aka ‘Songs From The Wood/Heavy Horses’), one of only two tracks to feature the quartet on their own. The staccato nature of the song and the melodic resolution is beautifully captured by purity of the strings on a piece full of subtle dynamics. The link piece ‘Only The Giving’ (aka ‘Wond’ring Aloud’) stays much closer to the original acoustic arrangement, until a startling violin drop-in at 35 seconds, before the strings recover to colour the piece with intricate bowed strings. Die hard fans will want to hear what has been made of the two Tull heavy hitters, ‘Loco, (‘Locomotive Breath’) and ‘Aquafugue’ (‘Aqualung’). ‘Loco’ is a highlight, particularly as Ian’s excellent flute is offset by the strings as they map out the melody line. ‘Aquafugue’ is given a more sonorous reading with the repeated riff punctuating a sombre claustrophobic sounding piece, before a spirited unison of strings and a belated vocal (the least impressive on the album). The flute and string double lines nearly obscure Anderson’s vocal, while the Celeste sounds a bit heavy handed, almost as if trying to mirror the bombast of the original version. as Ian’s excellent flute is offset by the strings as they map out the melody line. sounding piece, before a spirited unison of strings and a belated vocal (the least impressive on the album). Is Ian Anderson's new LP faux classical or just its own thing? On Jethro Tull's classic "Songs from the Wood" Ian Anderson promised "all things refined". And, refined, the band certain has been. Musically educated too. For 40-odd years they have specialised in baroque rock and minstrel ballads all served up with harpsichords and flutes. There were even a couple of albums featuring a full orchestra. Yet, notably, string quartets have only made the occasional appearance. In a way, then, you could say an album like this is actually a little overdue. The thing is, though, Jethro Tull - The String Quartets isn't really a Tull album. Nor is it even really an Ian Anderson LP. For the most part, this is the sound of arranger John O'Hara and the Carducci Quartet. The results are really rather convincing. That's partly down to the source material. Jethro Tull songs often start with ersatz sixteenth-century melodies which then progressively move towards blues rock. O'Hara, however, pulls it all the other way. "Sossity Waiting", for instance, takes the melodies of "Sossity: You're a Woman" and "Reasons For Waiting" and arranges the flute and strings to sound like the work of an early English composer. Where a heavier more syncopated sound is needed, such as on "In the Past", it's achieved using slurs up the fingerboard and heavy duty plucking. For classical purists, of course, the thought of Tull's music becoming even more faux baroque will be horrendous. But, actually the album finds its most authentic voice the further it gets away from the originals. This is helped by Ian Anderson's sparing use of his own vocals. One song, in particular, illustrates why too much Anderson wasn't right. "Wond'ring Aloud" - featuring the main man on both guitar and vocals - was, no doubt, included because the original's use of strings virtually inspired the whole project. But it's not a particularly stirring version. Tull fans will be far more taken with the unexpected way O'Hara, Anderson and the Carducci Quartet have reinterpreted "Locomotive Breath". That really is something special. Jethro Tull has pledged to fulfill all exclusives by 31 March, 2017 unless otherwise stated. Ian Anderson has recreated his music with Jethro Tull with the Carducci String Quartet but don’t call this project classical. “The thing about this is, I am not doing classical music,” Anderson tells Noise11.com. “This is rock music done with a switch of the acoustic instruments of an orchestra (or in this case a string quartet). Whilst you are working within the traditions of classic (with a small c) it doesn’t turn it into classical music. It still has its origins of the Jethro Tull repertoire. I think what we tried to do was put it “in the style of classical music”. But that doesn’t make it classical. Most classical music is 200-300 years old and as much as some of us might want to wave a magic wand (or baton) it’s not possible to recreate (and why would you want to). That was then and this is now”. The string quartet reimagination of the music of Jethro Tull has been a year in the making. “At the beginning of last year I decided to pursue the project and discussed it with our keyboard player John O’Hara who is a classically trained musician and composer,” Ian said. “We worked on it over the course of the next few months while we were on tour and got it together to record with the chosen string quartet, the Carducci String Quartet in September last year”. While the project is something completely different for Jethro Tull, Ian says it is definitely a one-off and that everything they recorded was used on this album. “I don’t think that I’d want to go there again because I feel there are other things that would be a priority for me before thinking about something like that. At the moment I don’t have any ideas about doing that again. I’ve worked with large and small orchestras before. The only thing I haven’t done, except on one occasion with a few pieces, is to work with a choir. That is something that might have a possibility in the future, to do a choral work. It would be a very different realisation of that music to be sung by a mixed choir”. Just received The String Quartets,in my opinion very good,Bungle stands out to me of them all but they all have merits.Progressive retro progressive,a new take on Tull,but hey why not. Who would be the fool stood in his suit of armour? Speaking of choral music, I haven't been able to find any links to the few choral songs Ian did last year. 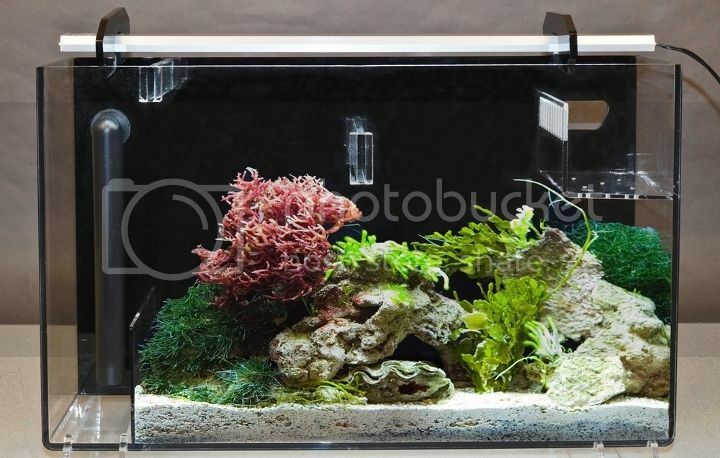 Has anyone heard these? I'm on my third listen. Quite a nice little album, even if it isn't one I imagine I'll get back to too often. My favourites so far are Bungle, We used to Bach, and Velvet Gold. The last one is really faithful to the original, probably one of the most faithful. You'd think that would make it less interesting, but Velvet Green is such an underrated song and it fits the quartet really well in my opinion. Dropped through letter box lunchtime. Got mine too but as I put my finger and thumb in to get the booklet out I've torn the corner of the cover So beware, the cover is a bit flimsy. "Only The Giving" gave me goosebumps! Allright Mr Postman.....bring my mine, already ! I still feel it is a little weird to see a new album under the JT name on streaming services. 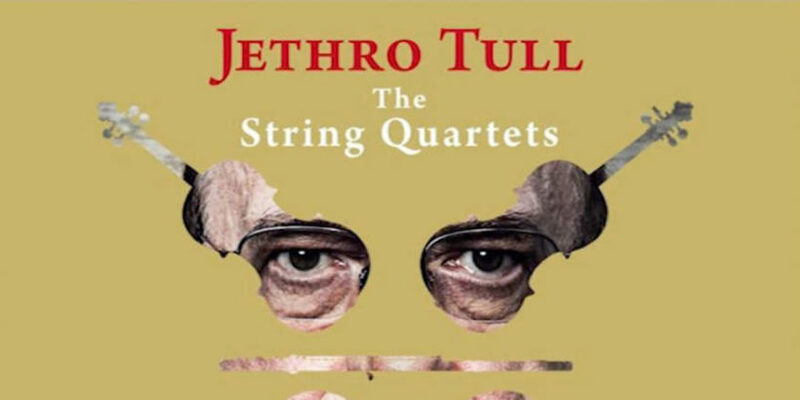 Out today is Jethro Tull -- The String Quartets, a collection of a dozen Tull favorites arranged by keyboardist John O'Hara for, as the title indicates, a classical string section. The album features arrangements of "Aqualung" (as "Aquafugue"), "Locomotive Breath" (aka "Loco"), including "Bungle In The Jungle" ("Bungle"), "Living In the Past" ("In The Past") and "A Christmas Song" ("Pass The Bottle"), a 1968 song that marked Anderson's first work with a string quartet. A new Jethro Tull by Ian Anderson tour kicks off May 26 with the Colorado Symphony at Red Rocks Amphitheatre, followed by planned dates in the U.S., Australia, New Zealand, Europe and South America. Anderson is also finishing up a lyric book, which will be illustrated wtih photographs from his personal collection and published later this year. I've listened a bunch of times now. Couple of reflections. I'm really happy they didn't do Bouree. Would have been so obvious.. I think in general, there's a little too much flute included on the album. I would have preferred to hear either the quartet by itself, or maybe a bit more vocals. The quiet songs of JETHRO TULL are not necessarily right at Stormbringer, because our magazine is mainly on the hard side. The implementation of JETHRO TULL songs by THE STRING QUARTETS is still a giant step forward and is therefore an absolute edge theme, which we nevertheless accept, however, without evaluation. I know enough metalers who like to listen to classic instruments at APOCALYPTICA or 2CELLOS - as long as the METALLICA, AC / DC or other heavy songs play until the arcs glow and the strings are cracked. There are "mash-up" and clenched fists, because these bands still embody and play metal. You only need to hear the first song, it's all about what you expect on the album: violins, cellos, flutes - it is painted, plucked and flushed, sometimes fast, sometimes slow, sometimes sad, sometimes cheerful. "Sossity" and the rest of the album is really beautiful, from the first song "In The Past / Living In The Past". But it is just a chamber quartet and no modernization of this matter, and therefore, unfortunately, there are some stretches of music, too. The only change is that there is more to be heard in some songs than just the quartet. There are also piano and singing. Examples are "We Used To Bach" or "Only The Giving". If you decide for this album, you have to be prepared for the fact that there are long plays, which have to come to one, several have the five minutes playing time. In this respect, all those who can start with the "four-seasons" or VIVALDI, or with other classical stringed instruments, will be delighted, and pieces like "Loco (Locomotive Breath)" or "Velvet Green (Velvet Green)" or " Aquafugue (Aqualung) "as beautiful and with recognition value. Where the last song is again flutes and the famous chorus is sung. So, you dear JETHRO TULL or VIVALDI fans, you should be brave and surprise this album. Over the years Jethro Tull has dabbled in many musical styles, arguably with varying degrees of success but making it near impossible to accurately categorize them. Having numerous personnel changes since their formation in 1967, what I would term as the “twilight” years have seen Ian Anderson cast off the cloak of Jethro Tull – in name only whilst reaching into the recesses of the extensive Tull repertoire and plucking out gems to be reinvented… Jethro Tull – The String Quartets is the most recent example of this. Not one to rest on his laurels, Ian says the idea of working with a string quartet came to him a couple of years ago. When Ian Anderson and John O’Hara first saw the Carducci quartet they were mesmerized by their sound and invited them to take part in a recording of reimagined Tull classics. No stranger to working with orchestras, Ian has an enduring love of classical music, the essence of which is captured perfectly on this stunning release, each track meticulously selected to work to as a classical arrangement. The opening track In the Past is instantly recognizable as the classic “Living in the Past”, the omission of vocals barely noticeable such is the skill of the musicians. A beautiful rendition of Sossity Waiting, better known as “Sossity: You’re a Woman” features Ian singing and although it airs on the lugubrious side it is undoubtedly one of my favorites on this release. Farm the Fourway – “Farm on the Freeway” was the only track on this selection not readily discernible to me and although it’s always been a favorite of mine I considered it to be an unusual choice for a compilation such as this… yet it works. The mergence [‘mash up’ for our younger readers – editor] of two of what I consider to be the best ever Tull songs – “Songs from the Wood” and “Heavy Horses” is performed as Songs and Horses by the Carducci quartet alone. The melodies of these songs serve to compliment each other perfectly and this is one of the definite highlights of this release. I was further enchanted by Velvet Gold – “Velvet Green” which although lacking in vocals, doesn’t sound overly far removed from its traditional arrangement. Not surprisingly perhaps, the album concludes with Aquafugue “Aqualung”. A song I could never tire of listening to in any variation, this version seems particularly poignant. After my first listen to this album I felt compelled to revisit the originals of all the tracks featured here for reasons of comparison. It occurred to me thereafter that the infusion of classical elements has become so synonymous with the music of Jethro Tull that I was finding it hard to differentiate in places. With the exception of 5 tracks, this release is, for the most part, instrumental. The inclusion of two Christmas songs is a nice touch, Pass the Bottle – “A Christmas Song” features Ian Anderson on Mandolin conjuring up a haunting melody. Recorded in the crypt of Worcester Cathedral and in St Kenelm’s Church, Sapperton, the overall sound produced by all involved is musical perfection. As uplifting as it is in places, I imagine I detect the slightest hint of melancholy here and there throughout the album. The String Quartets will be an essential addition to any Tull fans collection. Ian Andersons imagination seems limitless, his compositions timeless. I always look forward to his next project with renewed enthusiasm and this classical album does not disappoint. I’ll be interested to see what musical direction Ian takes next but I would wager that he isn’t too old to rock n’ roll, well not just yet….